“One couldn’t help but to just be amazed at her raw, Janis Joplin-inspired voice. Chris Arndt morphed from John Mayer to Eddie Van Halen to Jimi Hendrix and back again. 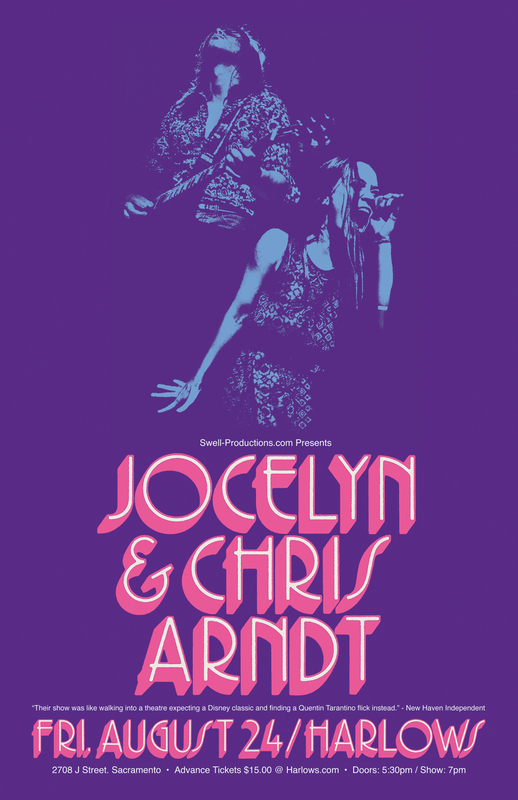 Devastatingly powerful vocals & retro-rock guitar, with lyrics that run the gamut between vulnerable to all-out venomous: siblings Jocelyn & Chris Arndt are creating a new generation of authentic album rock.